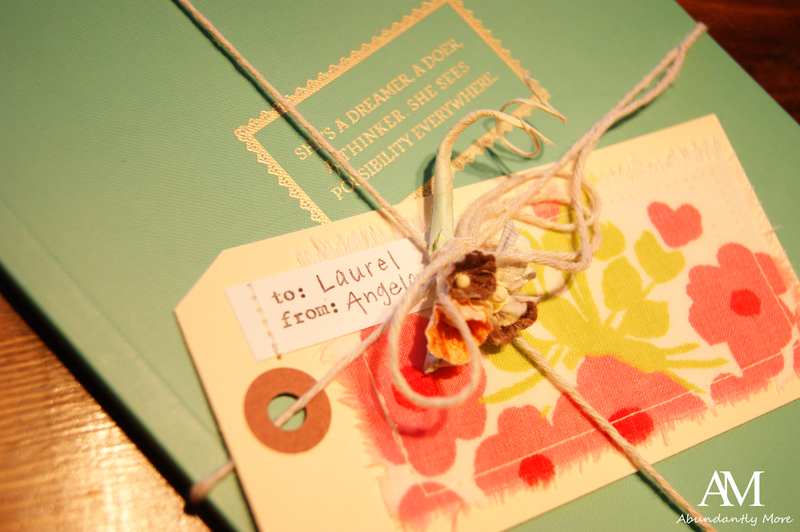 Hello Laurel, it is so nice to meet you! 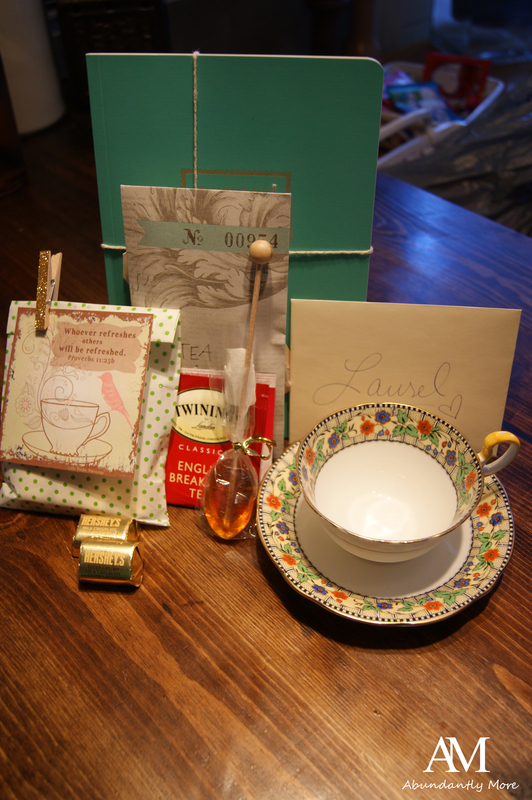 I’m visiting from my Dear daughter Stephanie’s tea cup exchange. You have been graced with some lovely treasures, my that tea cup is gorgeous! 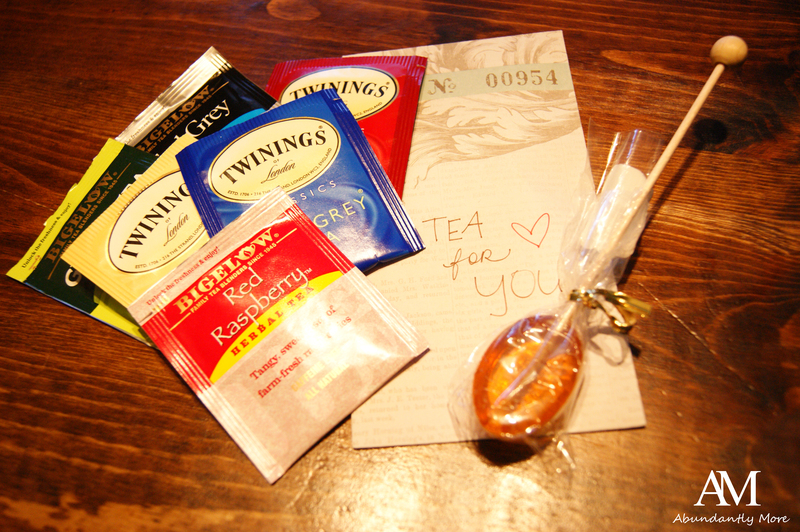 Stephanie puts such love into her tea cup exchanges and many are blessed through them. It is wonderful to meet you as well! I SO enjoyed getting to participate in this fun event! And I can tell Stephanie just adores this! She worked to hard to make it fun for everyone! I had such a wonderful time meeting two lovely sisters in Christ, and I so hope to participate again next year! 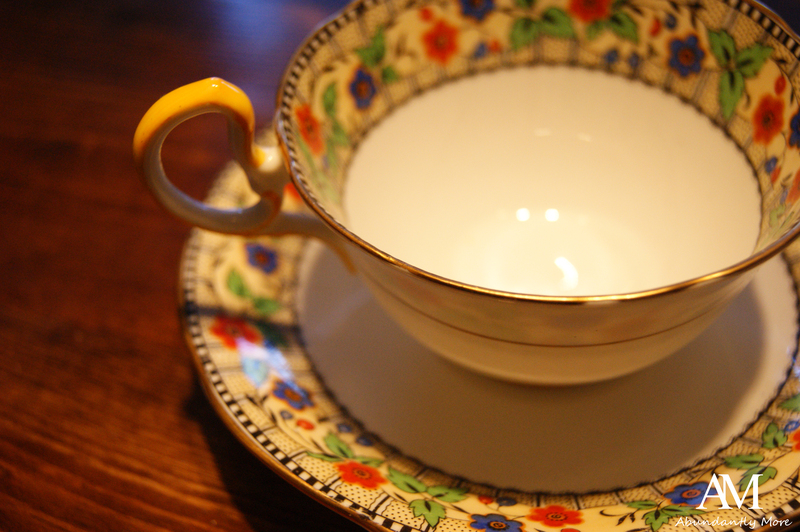 Also, the tea cup you sent to Alice was stunning! I have never seen one like that and found it to be very soft and feminine. 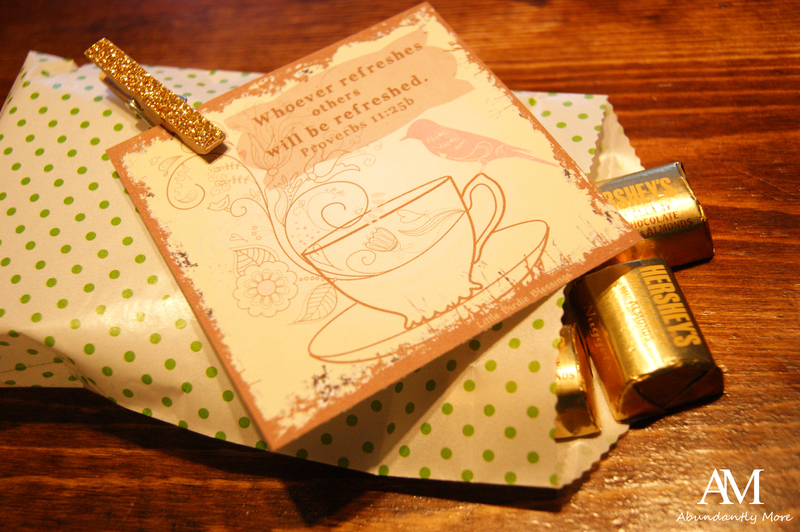 I am so thankful you participated in the 6th tea cup exchange and I am even more thankful you met two Sisters in Christ – what a blessing, my dear 🙂 Have a lovely weekend. Hugs! 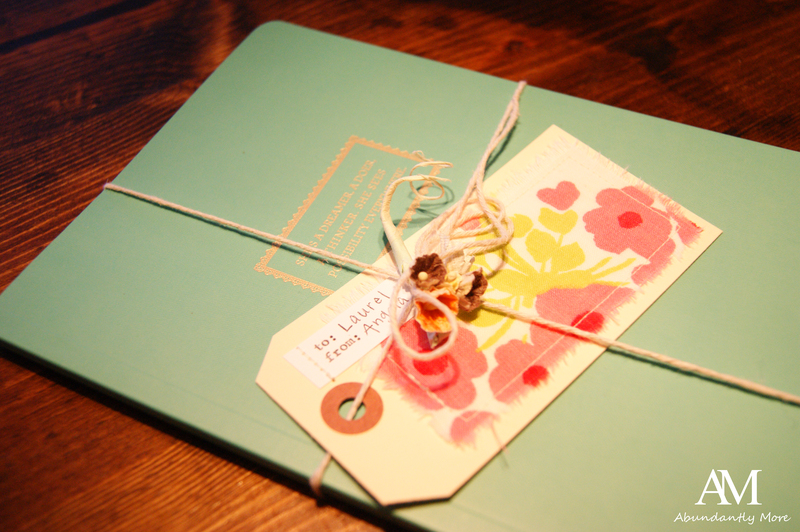 What a lovely package! 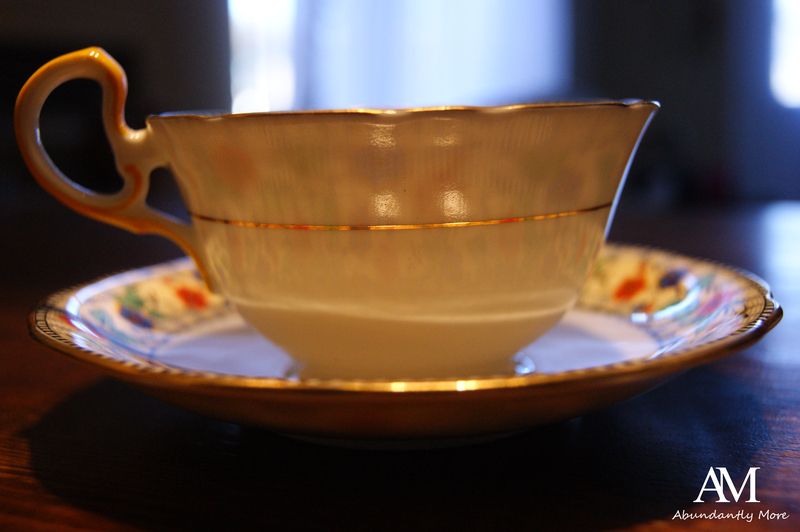 You teacup is beautiful–I especially like the black and white trim! Hi, Laurel! (I just love your name- so feminine and beautiful! 🙂 ) I’m stopping by from Stephanie’s link up party! You received some lovely things- the tea cup is beautiful and I love the colors 🙂 Enjoy all your sweet goodies! Blessings to you!